I’m strangely calm as the end of the semester approaches. Not only is it the end of the semester, but it’s the end of college. Forever. It only freaks me out if I think about it deeply. Some of these are self-explanatory, but others might be meaningless to you. 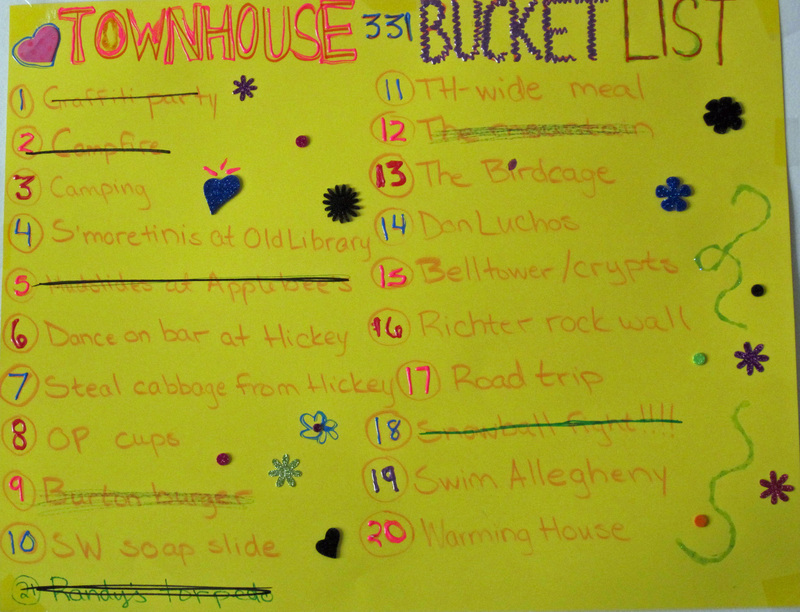 Whatever they are to you, we feel that if we check off all these items, we will have completed our Bonaventure experience. And while I have your attention, I’d like to tell you that I’m contributing to Kind of Bleu, Pete’s awesome music blog. I would love it if you could check out my posts. I wrote about Beach House‘s new track yesterday and Edward Sharpe and the Magnetic Zeros today. I’m trying to get more practice with reviewing music. Let me know what you think!